This was a great article. Welcome the new crew members aboard! 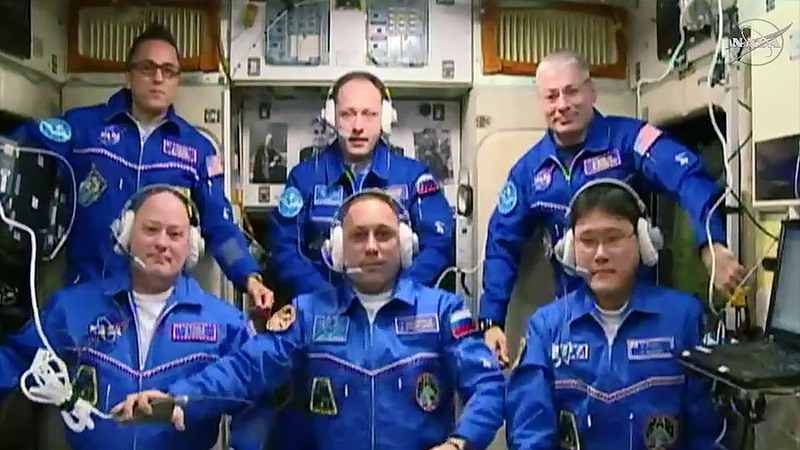 Wow;; this awesome to see ISS live and adding of new crew members from different countries that show that world is United.thank you for this situation in our earth. I am glad to see the cooperation between nations. NASA maybe the last thing that brings countries together. Thank You. I really love this. My dream is to be an earth science(Geologist) specialist, sacrificing my entire life carrying out research that will create a huge positive impact on earth’s life. I hope one day, God will create an opportunity for me to work together with you guys. Love you all. Shout out to Scott Tingle from your daughter’s coworkers in NYC! She amazes us everyday and she’s incredibly proud of you. Thanks for your service! It is so exciting and great that russian cosmonauts are working shoulder to shoulder with american astronauts and also with astrounats from all over the world. I guess it is very important.